Bangalore is known for its love for culture, more prominently Indian classical dances viz. Bharatnatyam, Odissi and Kathak. For some of us, who are more keen to learn Western styles of dancing, there are various avenues to pick up lessons in these dance forms from all over the city. Salsa dance is sought after by people looking to add an element of fun to their style of dance. It is a popular form of social dance that originated in New York with strong influences from Latin America, particularly Puerto Rico and Cuba. Apart from being very attractive and fun, salsa is also known to test your social and interpersonal skills as this is a partner-work dance. You can learn salsa in various dance schools/institutes across Bangalore, such as Lourd Vijay’s Dance Studio, or from Ranjani, Furor Bangalore. Tango is a partner dance that originated in the 1880s along the River Plate, the natural border between Argentina and Uruguay and soon spread to the rest of the world. Among tango dancing circles, the authentic tango is considered to be the one closest to the form originally danced in Argentina and Uruguay. It is sought after by people who like an elegant form of dancing. It’s not only a fascinating dance form, but also a philosophy or way of life. Hubert Tassin (a French designer who discovered the dance in Turin, Italy) has been driving the tango dance in Bangalore for the last few years. Currently the practice sessions and Milongas driven by him are hosted at Vibes, Dance Lab, Indiranagar (usually on Sunday evenings). Ballet is a performance dance which is said to have originated during the Italian Renaissance period. This was further developed in France and Russia into a concert dance. A highly technical form of dance, becoming a ballerina requires years of training and dedication. However It is a misconception that it is too late for adults to learn ballet, and you can learn ballet in various classes such as The Lewis Foundation of Classical Ballet. 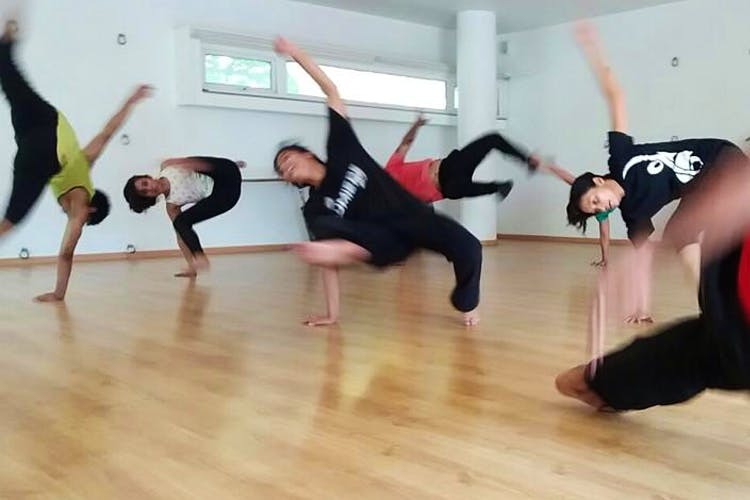 Hip hop classes in Bangalore have been a rage among teens and young working professionals, especially because of its usage in Bollywood choreography. This dance is a social or choreographed style primarily danced to hip hop music. It includes a wide range of styles primarily breaking, locking and popping which were made popular by dance crews in the United States. Hip hop is taught in various dance institutes in Bangalore like Shiamak Diavar International and D’cruze Dance Studio. Belly dance is a Western name for the traditional Middle-Eastern dance. Originally a solo, improvised dance involving torso articulation, belly dance takes many different forms depending on the country and region. New styles have evolved in the West as its popularity has spread globally. You can learn how to shake your belly rhythmically at Sanaz Dance Studio. Contemporary dance is a concert dance that uses compositional philosophy, rather than choreography. It uses dance techniques and methods found in ballet, modern dance and very generously draws from other philosophies of movement that are outside the domain of classical dance technique. The term ‘contemporary dance’ is sometimes used to describe dance that is not classical. Contemporary dance is taught at very select places in Bangalore mostly on weekends, more prominently at Nritarutya and Attakkalari. Looking for something more? Check out other dance classes in the city here.